Jon has always been an athlete. He was a Tight End/Cornerback, Shooting Guard, Midfielder Extraordinaire, but baseball was his passion. Pitching and playing third base all the way through the collegiate level, he has shared the diamond with professional players, coaches and trainers. after graduating college, jon traded in his spikes for running shoes and in his first race, finished top 10 in his age group! Combining his passion for physical activity with a degree and over 20 years of experience, Jon launched JDLT in hopes of providing top-notch personal training and run coaching services to anybody who wanted to get better. He's helped runners qualify for Boston, individuals lose 100+ pounds, designed hundreds of training programs, and now HE want to help YOU! "Jon is an excellent personal trainer, passionate about his work and who cares deeply about his clients. Athlete or couch potato, you will benefit from his deep knowledge in all aspects of fitness and health. Jon will design a program that will get you results beyond your expectations. Work with Jon, you will be in good hands! What does JDLT stand for? It's not just a name... it's a fitness experience that will so profoundly change your life that you will never think about going back to a sedentary lifestyle again :) Join Da Luv Today!" “When I first met Jon, I was training with another personal trainer; however, after spending just one hour with Jon, I knew he was the one who would get me to my goal: qualify for the Boston Marathon. My best marathon time was 4:20 and I just couldn't figure out how to get my time down. With Jon's plan, I accomplished my goal within 4 1/2 months (twice; 2 separate marathons). I also lost 20 pounds and have never felt stronger. 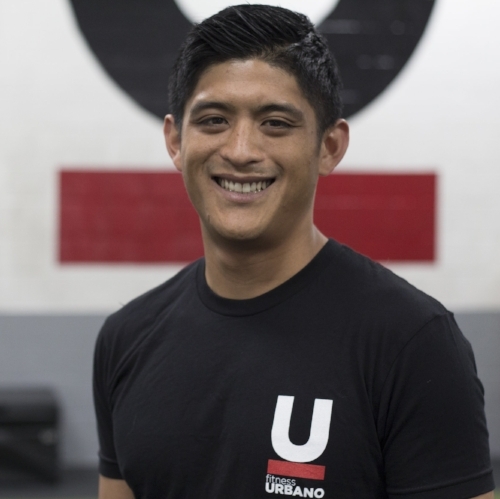 Jon is very knowledgeable about what he does and so supportive; he personalizes each workout plan to the individual. Even when I have a bad day, I leave our workouts feeling like all is right again. With Jon leading the way, I know I will make it to my next goal: running the Western States 100. I have no doubt!